What’s better than a Wizard? A steampunk Wizard, obviously. Thus: the Nano, Torment’s tech-wielding mage-alike that uses knowledge of the world to create devastating effects and help allies. Fireballs and heals by any other name, but an awful lot cooler looking. You can see it in action above. 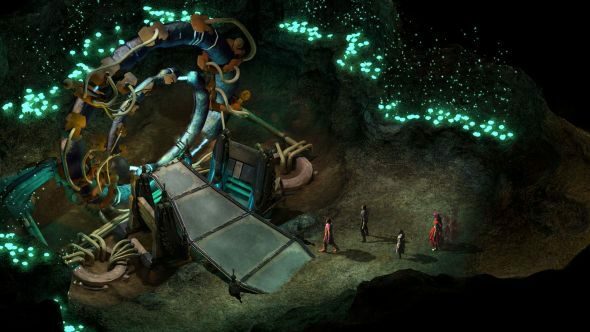 In a great year of great RPGs, how will Torment stand? As you likely just heard, Nanos use the titular Numenera ancient tech to create their reality-warping abilities. Expect those powers to become more relevant as you delve deeper into the storyline. This won’t be Torment’s last tease for the coming weeks, as it’s promised the next fortnight will see two further videos on other classes. Presumably, publishers Techland plan to keep up a cycle of trailers between now and release at some point in 2017.